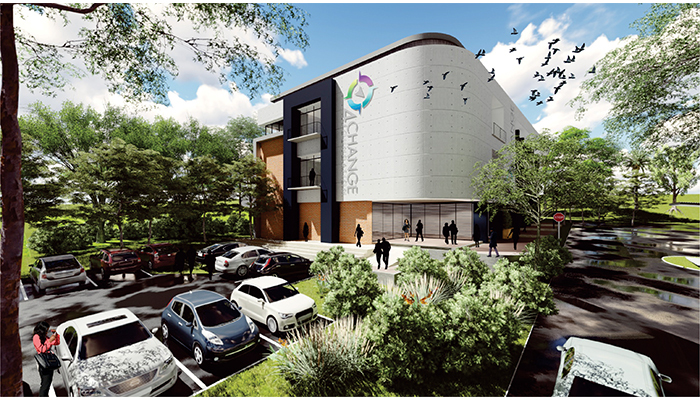 Pretoria, 14 May 2018: C+B Architects have unveiled their design for the development of new facilities at the 4Change Foundation campus in Roodepoort, Johannesburg. The new facilities will help meet the increasing demand for space for educational activities and student housing facilities and will allow 4Change to generate income through mixed-use commercial spaces.  The 4Change Foundation aims to provide education and upliftment to disadvantaged students with the goal of eradicating systemic poverty in our nation by helping young people to becoming creative and industrious at all levels of society. They offer a gap year program and are involved with several school outreach programs and community upliftment initiatives. Their school ‘Face Off Challenge’ Program impacts up to 10 000 learners per annum and involves sports, arts, entrepreneurship, leadership, life skills and social programs in nine secondary schools and surrounding communities in Gauteng. According to 4Change, their belief is that the soil is more important that the seed as a seed can only reach its full potential in the right environment. Their goal was to design its campus to be a centre for transformation, focusing on providing training and development alongside an integrated business in an endeavour to produce a model that is self-sustainable and can be reproduced in third world countries across the world. 4Change approached C+B to provide exterior perspectives of high level designs for the various required facilities so that they could have a clear idea of the direction in which the campus was headed from an aesthetic and functionality point of view. Frans Bergh, a founding partner of C+B, says that at the start of the project, 4Change had already put a site plan in place and originally only wanted C+B to provide the design perspectives and aerial views of these. Following extensive consultation with 4Change, C+B decided to change the site layout to one that would allow for design that responded to existing site conditions, ease of access, topography and campus circulation. “Following our own site analysis, we redesigned the overall layout. We wanted to create an integrated campus with multi-functional buildings to improve the life cycle of the project, and to allow for longevity of the campus through future income generation from the auditorium and conferencing facilities. This gives the campus the flexibility to grow within the boundaries of the site,” Bergh explains. C+B’s layout and combination of the various buildings across the campus – which include educational facilities, campus offices, a training hub, conference facilities and an auditorium – was done with the intention of encouraging interaction between faculty, students and visitors. Ensuring the possibility of creating a commercial enterprise from the auditorium and conference centre for 4Change, C+B ensured that these buildings’ designs included all necessary facilities, could accommodate large crowds and offered flexibility for a range of different events. C+B’s designs for the campus show buildings outlined by simple, angular shapes complemented by curving forms that respond to the site layout. “We tried to keep the architecture connected through basic form, material and colour and used low maintenance and hardwearing materials with a modern and fresh feel. In the design, we sought to capture the unique culture of 4Change, deliberately mixing and integrating the various spaces in a composition that would encourage the all the members of its community to interact,” notes Bergh. Overall Bergh says that C+B were able to meet every challenge that the brief and site presented. Some of the more unique and challenging aspects of the design and site layout, he says, are the campus’ agricultural precinct where urban farming will take place that needed to be allowed for and the flexible approach to student housing in shipping containers. The project is currently in the design development phase with construction to begin once this is concluded. Development of the campus will be implemented in phases as existing facilities will still be utilised throughout the process. “Ultimately we were able to critique the original layout and redesign it as an integrated space. We presented a designed approach that would lead to better buildings, spaces and functionality of the campus as a whole and used 3D block models to elaborate on this. Presenting these together with a rendered perspective of the proposed design for the Training Hub and explaining the relationships and process behind the position of each building, we were able to achieve a better design solution for the 4Change campus,” Bergh concludes.